This race is sponsored by a group of parents here in Wasatch County in support of our special needs children. 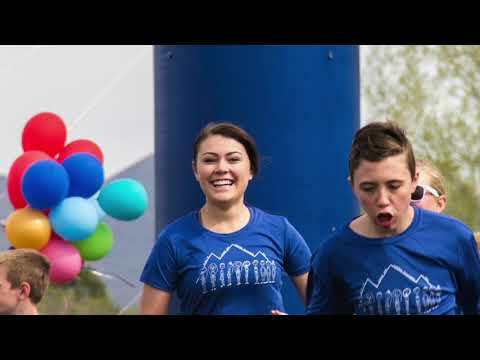 The funds raised by this race provide opportunities for our children who are part of Wasatch County's Special Education program. We provide funds for field trips and extra-curricular activities for all ages and donate funds to all seventeen classrooms and preschools, support teacher appreciation and more. I am biased as I am part of the Wasatch PEAK non profit organization that puts this on, but if you are a person who likes to support a good cause, have fun and listen to good music, this is for you! Come support our children run their victory lap just minutes before the race begins. It's really awesome! Thank you Wasatch Community for supporting us! Eliza W. has run 2 times 3/3 found this review helpful. I recommend this 5k for all skill levels. It is a great fundraiser to raise money for special education in Wasatch County. The money raised goes directly to classrooms, activities and students with special needs. You can run, walk or a combination of both for this race, no need to be a competitive runner. Come out and have fun with the community! Lane H. has run 2 times 1/1 found this review helpful. View all Wasatch PEAK 5K reviews. Raceentry.com also cannot attest to the validity of individual Wasatch PEAK 5K reviews. All of the information about the race has either been supplied by the event staff or can be modified at any time by their race management. 2019 Wasatch PEAK 5K registration details are only as accurate as the event has made them.